HEADLINE ACT Tour from festival to arena with the CDJ-TOUR1 and perform at the ..
(Ariving Soon) PLAY MAIN STAGE Tour from festival to arena with the DJM-TOUR..
Pioneer CDJ 350 Specialized Multi Player A DJ DECK THAT IS DESIGNED TO IMPRESS. The CDJ-350 is a q..
Pioneer CDJ 850K Professional multi player THE FUNDAMENTALS OF SERIOUS DJING. 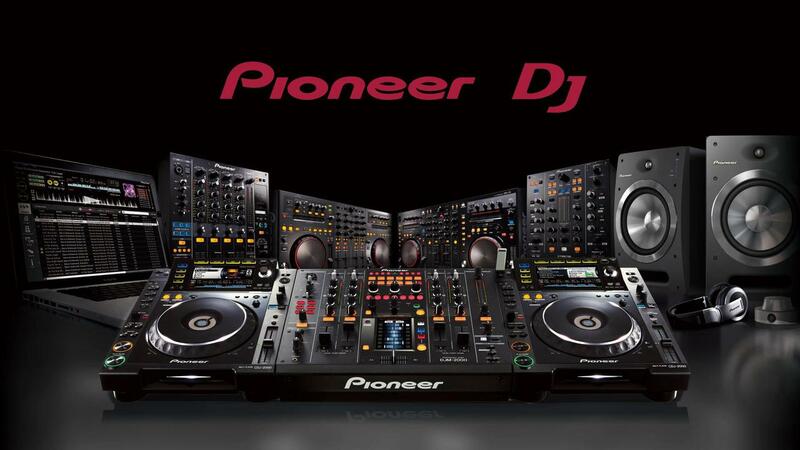 Replaci..
Pioneer CDJ 900 Nexus Professional multi player PROGRESSIVE PERFORMANCE. The CDJ-900NXS .. Compact design. Optimal performance. This compact player houses innovative features such as full-.. REFINED, REMASTERED, REBORN The CDJ-2000NXS2 inherits all the best features from its predecesso..
Start to mix The entry-level DDJ-RB is inspired by our professional controllers for rekordbox dj,.. Dedicated control The DDJ-RR is the little brother of our professional controllers for rekord..
TAKE CONTROL. The DDJ-RX is one of the first native controllers for rekordbox dj, giving you the fl..
Pioneer DDJ-SB Portable 2-Channel Controller SEAMLESS CONTROL. The D.. Compact control. The DDJ-SR delivers many of the superior performance features of the top-flight ..
Pioneer DDJ-SX2-4-Channel DJ Controller With Performance Pads WORLD'S FIRST NATIVE CONTROLLER..
DJM-2000NXS Flagship-4-Channel Digital Mixer FUTUROLOGY FULFILLED. The DJM-2000NXS combines adva..
Pioneer DJM-350-2-Channel Efedcts Mixer TAKE A STEP TOWARDS PROFESSIONAL DJ MIXING. With feature..
Get into the mix With features and design inherited from the DJM-900NXS2, this 2-channel mixer is..
Pioneer DJM-750-K-4-Channel Mid-Range Digital Mixer 4-CHANNEL EXPLOSIVE PERFORMANCE. Delivering br..
Pioneer DJM-850-K-4-Channel High End Digital Mixer ENDLESS CREATIVE POSSIBILITIES. ..
Pioneer DJM-900NXS-4-Channel High-End Digital Mixer THE CLUB STANDARD FOR DJ MIXERS. It's time f.. LEAN AND MEAN. Meet the DJM-S9, our first two-channel battle mixer for Serato DJ. With a fully co..
Pioneer HDJ-1500-K Professional DJ Headphones With Groundbreaking Soundproofing Technology FL..
Pioneer HDJ-2000MK2-K High-End, Pro-DJ Monitoring Headphones PERFECT FOR THE BOOTH. .. The HDJ-500 Professional DJ headphones are designed for exceptional fidelity, style, comfort and aff..
Pioneer HDJ-700-K DJ headphones FOR A FLEXIBLE DJ LIFESTYLE. Whether you’re DJing at home, in the..
Pioneer HDJ-C70 Professional On-Ear DJ Monitoring Headphones PRISTINE SOUND IN EVERY MONITORING PO..
Pioneer HRM-7 Professional Reference Monitor Headphones Features New HD driver unit faithfully r..
Pioneer PLX-1000 High-Torque Direct Drive Professional Turntable A REBORN CLASSIC. The PLX-100.. Features Large horn extension for WAV-SUB. Accurate amplification of the WAV-SUB's bass, rep.. Features Hyperbolic subwoofer with 18-inch LF drivers. 3-metre folded horn that efficiently .. Features Omnidirectional super tweeter pod to reproduce ultra-high frequencies from overhead. .. Features Hardwood enclosures and high-quality driver materials produce a natural sound .. Features Dual 15-inch loaded subwoofer with a quick, powerful bass response Two 15-inc.. Features Two-way full range speaker with 10-inch LF driver and a 1-inch compression driver. .. Features Two-way full range speaker with 12-inch LF driver and a 1.4-inch compression driver. .. Features Two-way full range speaker with 15-inch LF driver and a 1.4-inch compression driver. .. Features Two-way full range speaker with 8-inch LF driver and a 1-inch compression driver. P..
Pioneer RMX-1000 3-in-1 Remix Station With Editing Software, Innovative Performance Hardware And VST..
Pioneer RMX 500 -REMIX STATION Featuring the industry's first "Pressure Controller" knobs tha..
Pioneer S-DJ50X 5-Inch Active Reference Speakers The S-DJ50X active reference speakers are designed..
Pioneer S-DJ60X 6-Inch Active Reference Monitor Speakers The S-DJ60X active reference speakers are ..
Pioneer S-DJ80X 8-Inch Active Reference Monitor Speakers The S-DJ80X active reference speaker..
Pioneer SE-MX7-M Dynamic Stereo Headphones Featuring the “ADVANCED BASS LEVEL CONTROL” Dual 40mm..
Pioneer SE-MX9-T Dynamic Stereo Headphones Large, 50mm speaker High-quality aluminum alloy h..
Pioneer VSW-1 Automatic Video Switcher for DVJ-1000 -Automatically or manually switch video sources.. COMPACT SIZE, GREAT FEATURES. The XDJ-700 comes with a large touchscreen, a familiar club layout an..
All-in-one DJ system for rekordbox BEDROOM TO MAIN ROOM Take your performances to th..
Pioneer XDJ-RX All-In-One, Rekordbox Compatible DJ System With Large, Dual-Deck Screen And Club-Stan..